KATHMANDU, Sept 29: As many as 296,514 houses (53 percent) of the total 555,612 houses damaged by the 2015 mega earthquake have been reconstructed so far. According to the data maintained by the information system of the National Reconstruction Authority (NRA), the reconstruction of the remaining 259, 098 houses is underway. Since the data doesn’t include the information on the reconstruction of houses in the 18 districts that were less affected, the NRA has estimated that about 350,000 houses in total have been reconstructed. The reconstruction of 49,540 houses has been completed in Sindhupalchowk district which was affected the most by the earthquake. 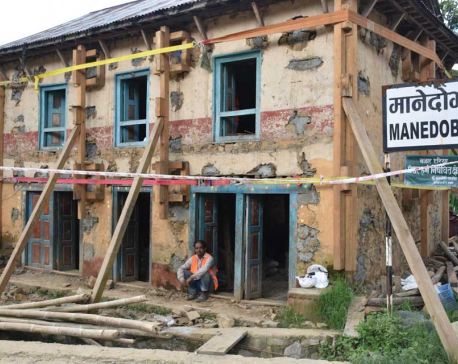 As many as 44,461 houses have been completely reconstructed in Dolakha and 36,490 houses in Gorkha. 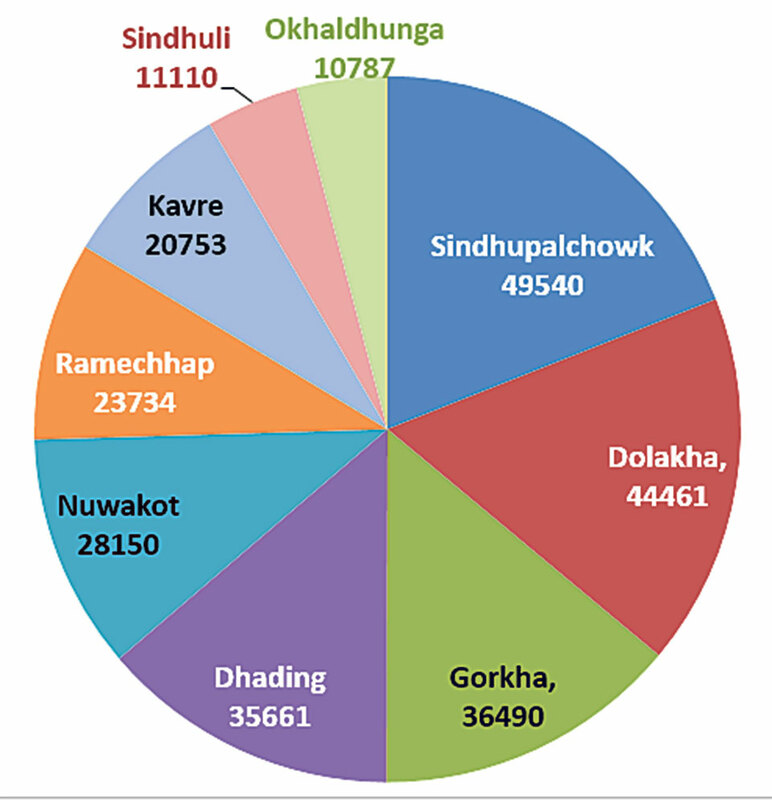 Similarly, 35,661 houses have been reconstructed in Dhading and 28,150 in Nuwakot. NRA Spokesperson Pitamber Ghimire said that the responsibility given to the local units and the technical support by the senior engineers will help in the timely completion of the reconstruction works. “We need the support of the beneficiaries, local units and political parties for this,” he said. The number of beneficiaries who have signed the agreement for the reconstruction grant has reached 723,728. As many as 717,964 of these beneficiaries have already received the first installment of the reconstruction grant; 503,036 have received the second installment too while 266,904 have even received the third installment. After addressing the complaints filed by the people, 810,690 have been declared as the beneficiaries of the housing reconstruction grant and 62,891 people have been named as the beneficiaries of the grant for retrofitting. NRA has distributed as much as Rs 138 billion under the private housing reconstruction grant by the end of fiscal year 2017/18. Out of this total amount, Rs 140 million was distributed in fiscal year 2015/16, Rs 390 million in fiscal year 2016/17, and Rs 884 million in fiscal year 2017/18. As much as Rs 100 billion out of the total Rs 834 million allocated for the private housing grant for fiscal year 2018/19 has been distributed. The government has set the target of completing the reconstruction works under the private housing reconstruction grant by this fiscal year.